July 10, 2012 -- Egypt's parliament convened Monday in defiance of a ruling by the country's highest court and swiftly voted to seek a legal opinion on the decision that invalidated the chamber over apparent election irregularities. 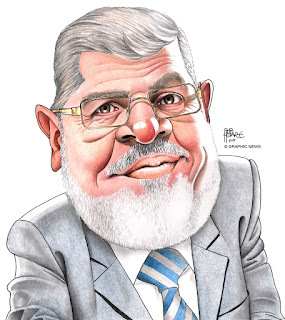 The session lasted less than 10 minutes, but it pushed Egypt deeper into a potential power struggle between new president Mohammed Mursi and the ruling generals. 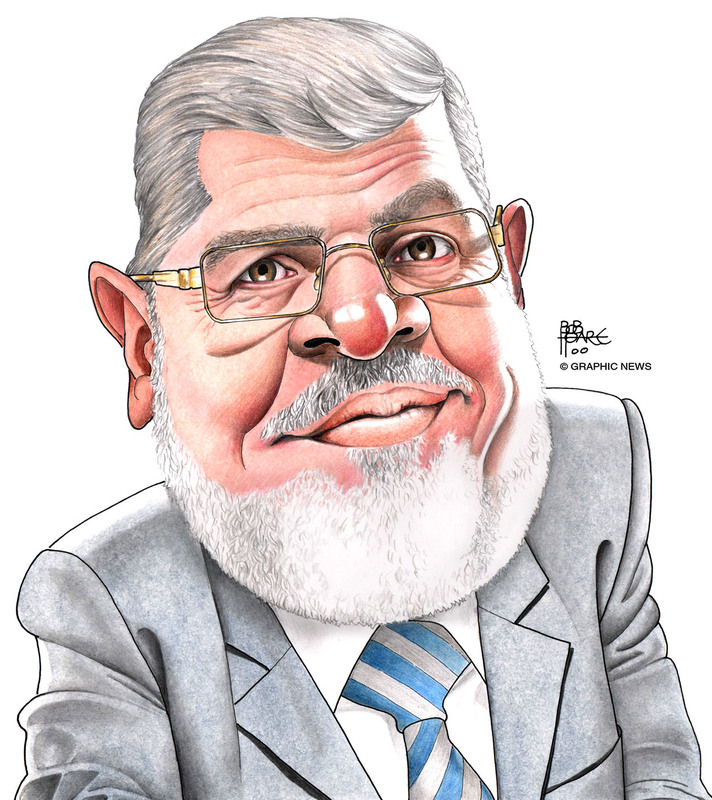 Caricature shows Egyptian president Mohammed Mursi.